An exact replica of the 19th c. original, the one found in Grandma's basket and who introduces Mary Frances to the thimble people in THE MARY FRANCES SEWING BOOK. 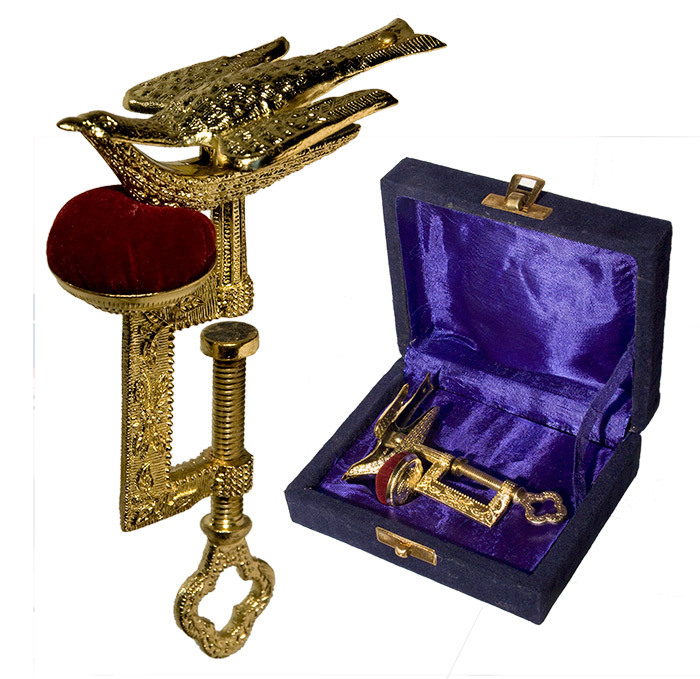 Used in the same fashion as a "third hand" the bird clamps to a table while the beak holds the fabric that is being worked on. All metal construction, the bird is a useful as well as a decorative accessory. 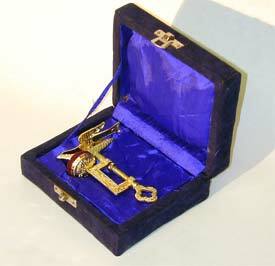 4.5" high Bird is packed in a padded protective box. (LV10) $28.00 for Brass finish, (LV11) $40.00 for Silver plate finish, (LV09) $44.00 for Gold plate finish.